In 2004, I put up a small web site for my team. I do not remember having updated that web site after I put it up. Early this evening, from sheer lack of anything to do, I decided to revisit it. I was amused at some of the things I placed there; and would like to share this list which was not really known before outside of my football team. 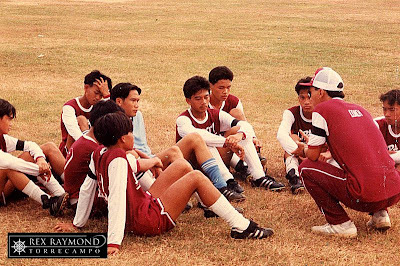 Twenty-nine years of coaching gave me a whole cache of memories; some of them pleasant, some totally forgettable. In this list, I enumerate the moments which stand out in my mind, an opportunity to let down some of the guard all who played under me associate me with. All that guard, as everyone will discover, was just a veneer of seeming strength expected of a coach. 1. 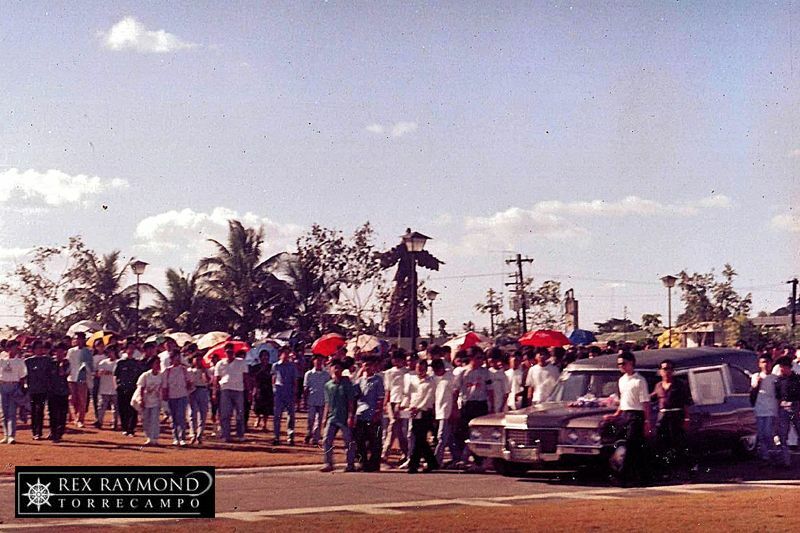 Ariel Carbonilla’s Funeral. A whole football team clad in the green of the alma mater but carrying a fallen comrade to his final resting place will forever stand out in my mind as the most touching moment of my coaching career. The sound of Bon Jovi’s “Young Guns” album playing from within the hearse may seem so inappropriate to the neutral; but those who knew Ariel likewise knew how right the album was. So young, with a whole life ahead of him... 20 years on, the feeling of loss has not waned one bit. If one singular moment changed my outlook on life in general and football in particular, it was the moment Joel Alcala (Ariel’s team-mate) called me from a meeting to say that Ariel had been run over by an errant bus. I was never the same since; and what the game – and results – meant to me took on a totally different perspective. 3. Blue Face. 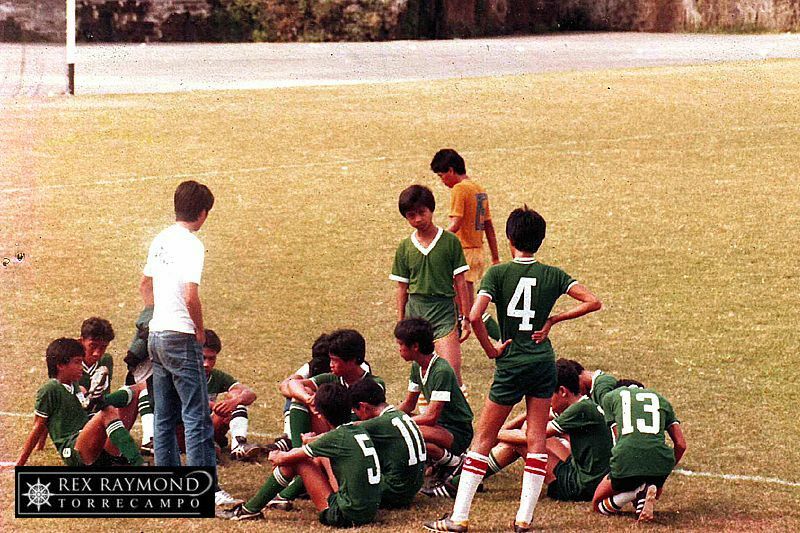 It was December 1983; and we were playing our second game in the now-defunct BOFA, what turned out to be an 8-nil rout of Southridge School. 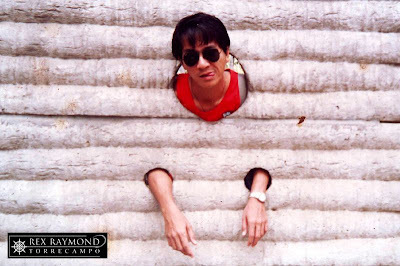 Jose Carlos Lucido, a.k.a. “Lutay” was my captain and right winger; and before the game was down with the ‘flu or something. 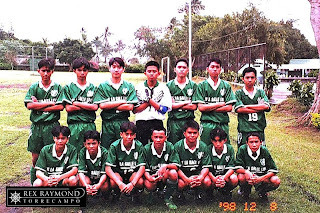 I had given him instructions to take things easy, prepared as I was to consider that he was still not fully fit for what was, at the time, a fairly big game for a fledgling La Salle FC. Those days, I would normally turn livid when a player defied my instructions; but how could I have been so when my captain ran till his face turned blue because of sheer desire to win the game and the tournament? I don’t believe any other LSFC player ran so much for me and for his team than Lutay did that December day. 4. Pride in Defeat. 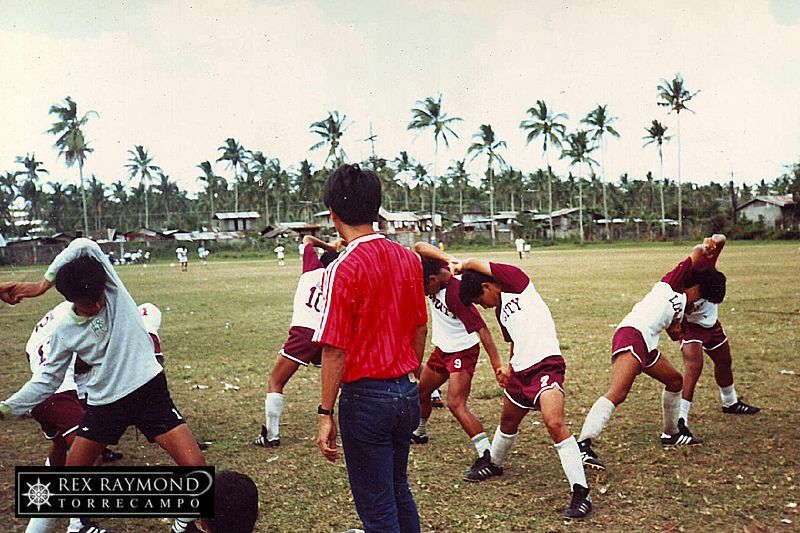 Summer 1989, the most powerful LSFC team up to that point lost a STRAA game to a Romblon team which it dominated territorially almost completely, conceding not even one single shot at goal. 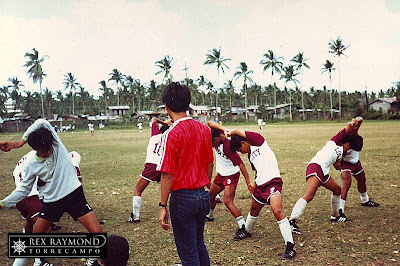 Romblon packed its defence with 10 men and won by that cruel football oddity, the penalty shootout. I had left my players inside the dressing room to get a couple of cases of Coke; but when I returned, there was deathly quiet in the dressing room, everyone expecting a tongue-lashing. 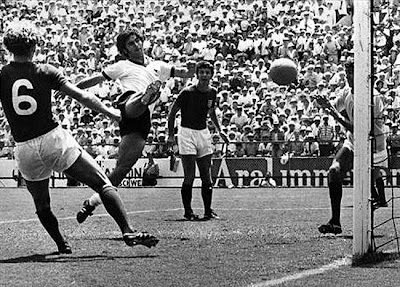 The feeling of pride I had in a team was never more immense than that moment, when a team which played its heart out but could not win on account of an opponent which refused to play football felt so completely shamed by the unexpected turn of events. No tongue-lashing was forthcoming; instead the highest praise I could deliver to a team which had made subsequent squads look pale in comparison. 5. No Need for a Coach. My 1994 squad was probably one of the worst ever, but a single moment of greatness stands out in my mind. 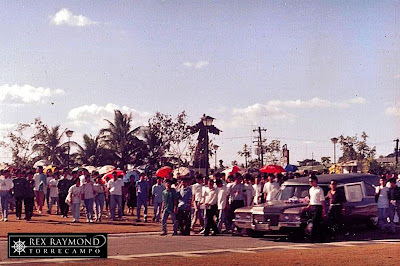 The STRAA was in Lucena City; and I could not join the squad when it left for quarters. 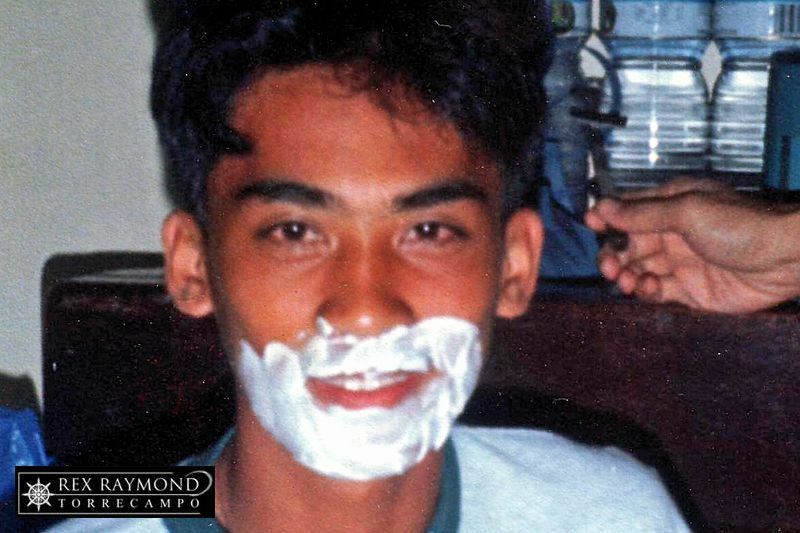 Emmanuel Francisco was captain, the person upon whom I bestowed all responsibility about the care of the players. 6. “Mother Lily.” We were in the STRAA in Cavite City in 1991: and just 23 days after Ariel Carbonilla died in a freak vehicular accident right in front of the school, we were all in shock after learning that Archie Perez, one of the Aspirants team members, was also killed in another vehicular accident in Tanauan. I had been coaching nine years previously without even a single fracture occurring either in training or during a game: and there we were, unable to comprehend two deaths in less than a month. 7. Rejoice, He is Risen! March 1997, and the High School Class of 1997 had just graduated at the SENTRUM. 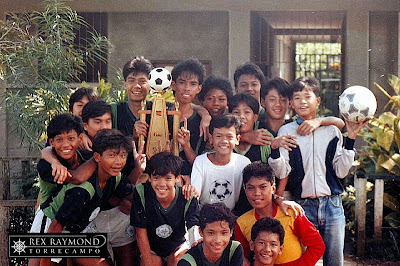 Reyan Quinto had come to visit me; but right at the door, he dropped the bomb... Word in Manila was that John Dimaculangan, a team-mate of his from the Class of 1996, was killed in Manila. I remember my knees just simply turned to jelly; and I sank straight onto the sofa, having gone colourless, something cold shooting up my spine... I had already started to get dressed to visit the wake, which I was sure would be at the family home inside the Base, when common sense prevailed and urged me to verify. I called up Pao Puertollano and then Rommel Cabrera. The latter was initially shocked; but then paused to think and remembered having seen John during the graduation just the night before, when John was supposed to already have been dead. So off went Rommel to investigate; and a good thing he called back before Reyan and I had left for the wake because John’s death, as it turned out, was somebody’s idea of a sick joke! 8. Another Great German. It was September of 1988; and I was fortunate enough to have been invited to attend a week-long FIFA coaching course at the Sheraton Hotel. The course was forgettable; and the only thing I remember about it was how stiff I was all over when I finally got through with it. What was unforgettable were the moments in the seminar room with the facilitator, Dettmar Kramer, formerly of Bayern München and the German national team. Everyone was entranced when the football “guru” spiced up each lesson with first-hand stories about bringing up the likes of Franz Beckenbauer and Gerd Müller. 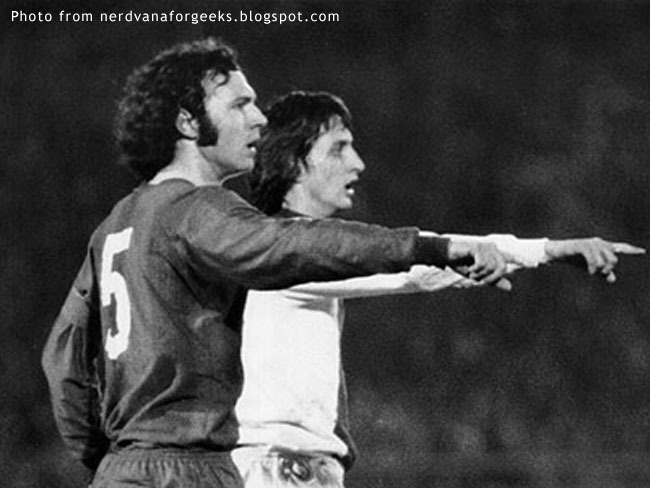 It was only then that I fully appreciated how Moses must have felt talking to the Almighty! 9. Goal! 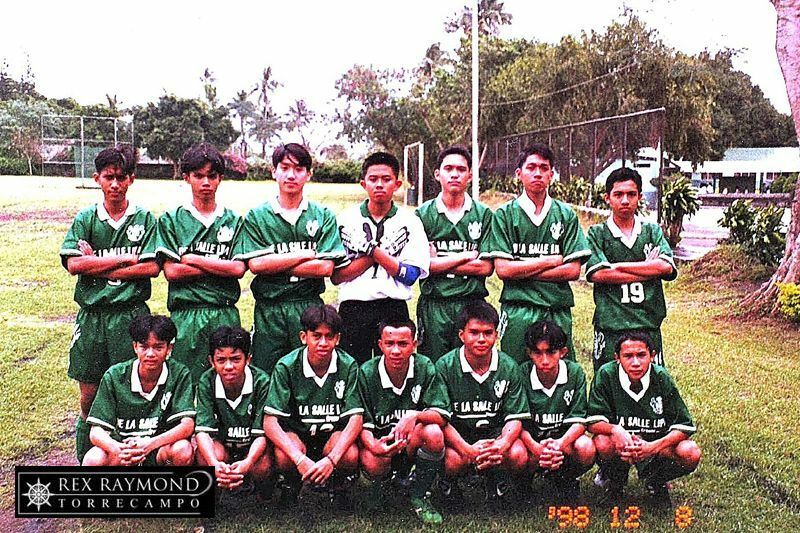 DLSL versus Southridge in the RIFA, 1998. Ball out of defence from Marlon Martinez; on to Padua; short pass to the right wing to Reyes; back to Padua; short pass to De Villa, who feints a pass to the right wing, swivels and changes the play to the left where Jeremias Jiao was galloping down the left wing. Jiao delivers a cross and there was De Villa again to deliver the coup de grace. And that goal was scored in that gravel pit that was Benedictine Abbey’s football field.